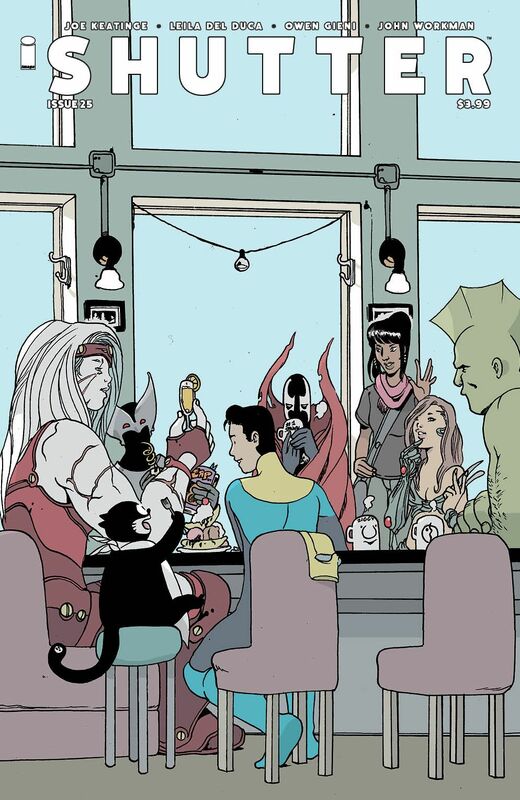 Image Comics is pleased to reveal Brandon Graham’s special variant cover of SHUTTER #25, the highly anticipated crossover event in the fan-favorite series written by Joe Keatinge (RINGSIDE, GLORY) and illustrated by Leila del Duca (AFAR). "What a wonderfully unique way to acknowledge the founders,” said Image Vice-President and Shadowline Publisher Jim Valentino when he received word of this special crossover issue. “I'm very proud to have been asked to have my character participate in Joe and Leila's wonderful series. And, for all those fans who want to see SHADOWHAWK’s return to comics...here ya go!" 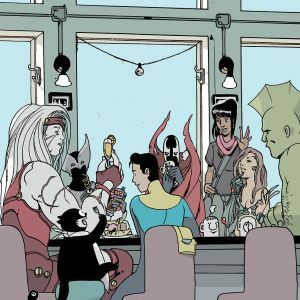 “The SHUTTER team found a great way to celebrate the history of Image Comics—and the universal love of two of the most important meals EVER combined into the best meal (Eat it, Dinner)!” said Graham (KING CITY, PROPHET). 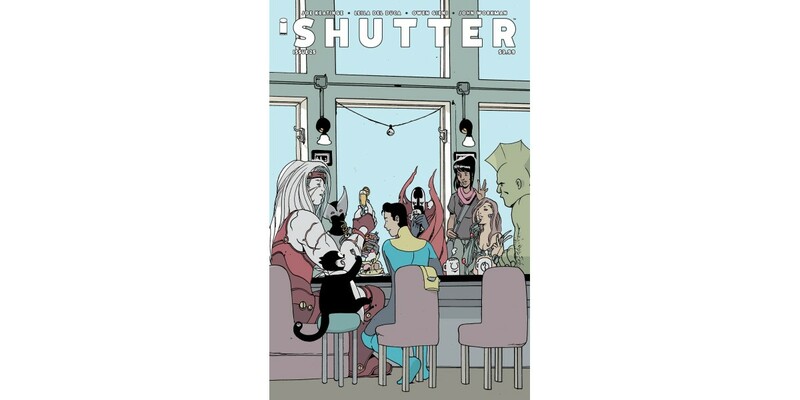 SHUTTER #25 Cover A by Leila del Duca and Owen Gieni (Diamond code: OCT160596), as well as SHUTTER #25 Cover B by Brandon Graham (Diamond code: SEP168121), will hit comic book stores Wednesday, December 28th. Final order cutoff deadline for retailers is Monday, December 5th.